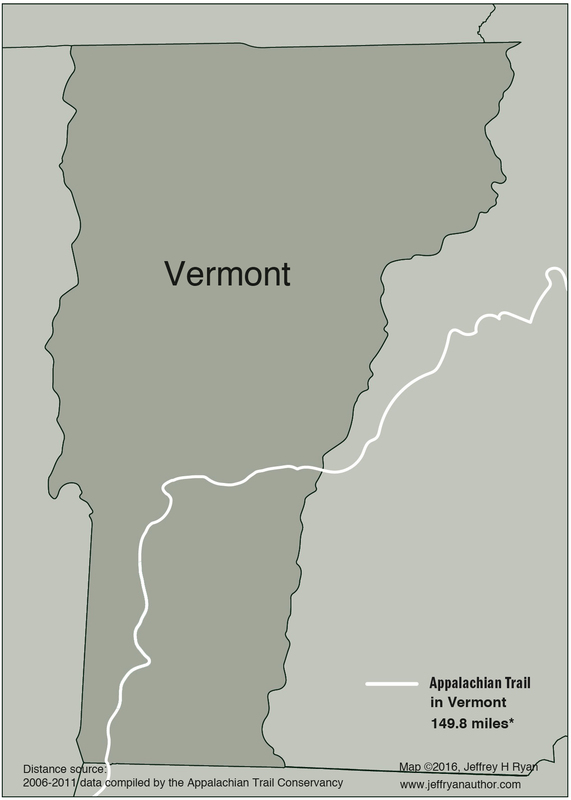 The fabled Green Mountains of Vermont form a nearly continuous spine, starting in the southwest corner and extending beyond the Canadian border. The first long-distance hiking trail conceived and built in America—the Long Trail—follows the range from the Massachusetts border to the Canadian border for 273 miles. The Long Trail established the very vision for the existence of the Appalachian Trail, planting the seed for Bento MacKaye to propose the idea in the 1920s. The Appalachian Trail and the Long Trail are one and the same for the southernmost 100 miles. Then the AT turns east toward the New Hampshire border, a 50-mile stretch that ultimately helps make the connection between the Green Mountains and the White Mountains. The Cobbles – Leaving Massachusetts, the trail climbs onto some low mountains known as “cobbles”, named for the cobblestone-like rocks strewn about their summits. 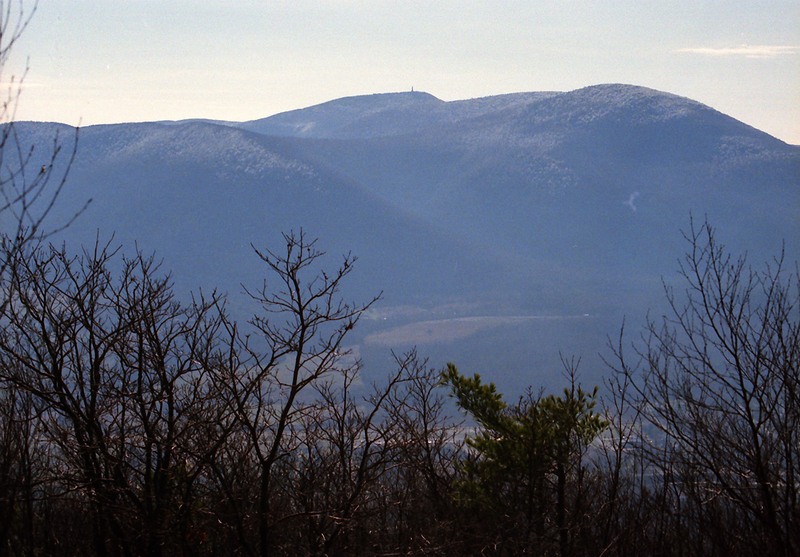 From here, you get nice views to Mount Greylock and the surrounding ridges to the south. 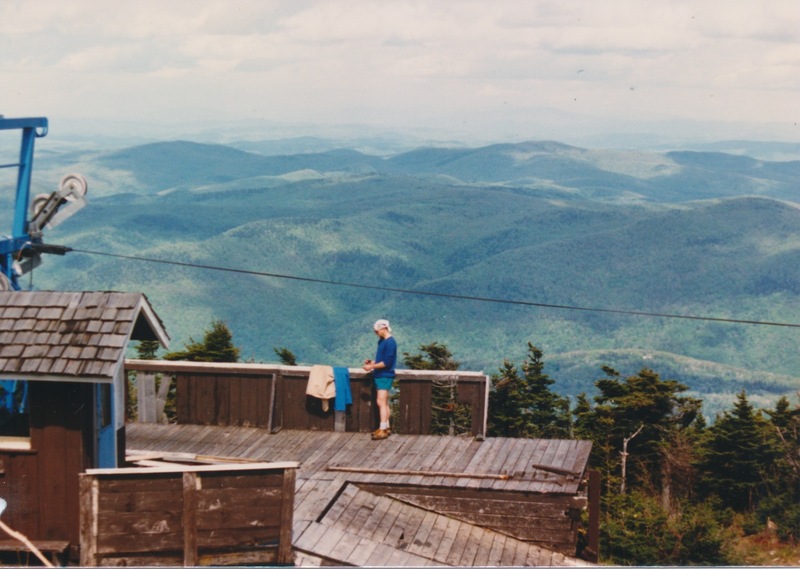 Killington – At 4241′, Killington Peak marks either the first place the trail has topped 4000′ since Tennessee or the last time you will reach that elevation until you get there, depending on which way you’re going. Either way, the views are sensational. From Route 4 to the New Hampshire Border – The nearly 50-mile stretch between the Green Mountains and the New Hampshire border is a beautiful New England hike with sweeping vistas of farms throughout. The first stretch of the AT I hiked outside of Maine is still a favorite. The AT doubles as the Long Trail through this really fun stretch. The view from Bromley Mountain on the northern end is particularly stunning. The southern trailhead is easy to find. It’s right on VT Route 9. The trailhead on the northern end is on a Forest Service Road just outside the village of Peru. It’s a popular day hiking area. If you are unsure, ask for directions at J.J. Hapgood General Store (the only store in town). Sherburne Pass is the place where the Long Trail and the AT part ways. (The AT continues east toward New Hampshire and the Long Trail continues north toward Canada.) But on this 42.5-mile section of trail, the two share the same route. The Sherburne Pass trailhead, located across the street from The Inn at the Long Trail, is very popular. On weekends, you’re apt to find it full, so get there early. If you’re heading south, you’ll top Pico and Killington, which at 4,241 is the second highest mountain in the state. It’s also the last 4000-foot peak between Vermont and Virginia on the trail. The rest of the hike stays true to the spine of the Green Mountains with fewer viewpoints along the way. Adding the two above sections creates a nice 82.6-mile section hike. If you’re even more ambitious, you can add the roughly twenty miles from Vermont Route 9 to Williamstown, Massachusetts to create a hundred-mile section. As far as difficulty, this is the easiest stretch of trail in the Green Mountain State. It certainly doesn’t make it any less beautiful. This is a wonderful woodland walk up and over low hills on its way to the ivy league town of Dartmouth, New Hampshire, where you can be treated to your favorite food and beverages to celebrate the end of your stroll. The last time I hiked this section was in autumn and the foliage was spectacular. Expect a fair amount of ascents and descents between the 1,000 and 2000 foot level throughout this section.